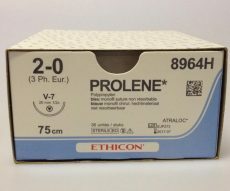 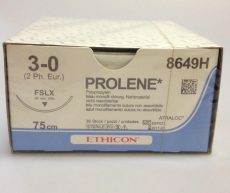 PROLENE Sutures (dyed or undyed) are non-absorbable, sterile surgical suture composed of an isotactic crystalline steroisomer of polypropylene, a synthetic linear polyolefin. 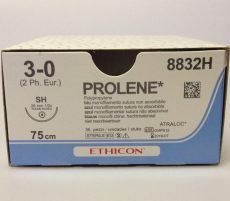 The dyed suture is pigmented blue to enhance visibility. 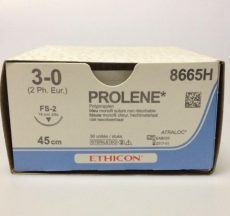 PROLENE Sutures are indicated for use in general soft tissue approximating and/or ligation, including use in cardiovascular, ophthalmic and neurosurgical procedures.